I was driving north on Black River Road from Fairmount Rd today, very scenic and fun. I was wondering who or what organization owns the posted lands up to Hacklebarney. Looks like fun water to fish. Even if you can't fish it, it looks like great hiking. Black River Fish & Game Club owns that stretch. They own immediately below Hacklebarney SP for a distance over a mile. That is just their river frontage. Not as familiar with their game lands. That is a really pretty stretch of river for sure. I know there's No Trespassing signs along the road for the entire stretch so I would think you cannot access the river from the road side bank and understand there's club water right below Hacklebarney for a bit but it also looks like the state owns a big chunk of land just north of Pottersville along the east bank of the river up to the club land but have never attempted to fish it. There is a public parking lot off of Hacklebarney Rd. where in theory you could hike in from there and fish from the eastern bank as long as you stay below the club water which looks to be state owned but I'm not 100% sure. Have always thought about trying that but have just never gotten around to it. Someone on here might know if that eastern bank is public accessible or not. There are signs on the eastern side too. I know someone who walked in from the east and fished that stretch. 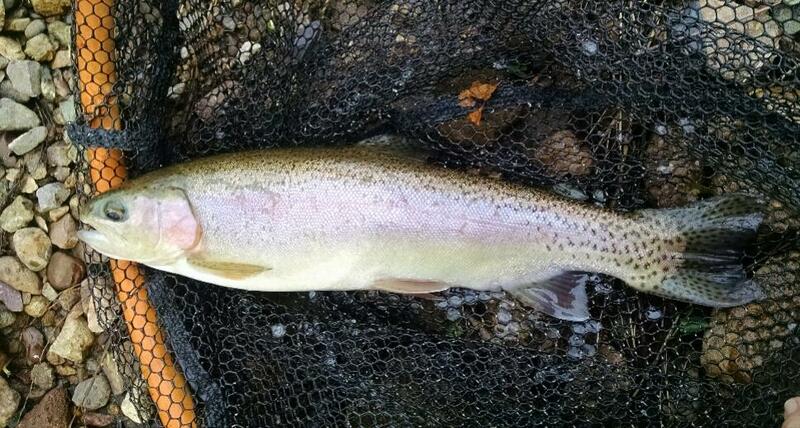 It actually had a fair amount of wild browns in there and even a few native brookies. Browns were up to 17" as I recall. I fished that club with a member..it was one fish after another, too easy...got bored after a couple hours... ...From what he told me, The Johnson family owns the land downstream from the club almost to Pottersville, but that is just what he told me. I heard from a local while fishing around about "j+j Johnson" too , and to take those flint hill preserve signs seriously cause they can be defensive. I was able to stay away from those signs, the township owns some land on the black river, look for those signs that say "no hunting but fishing with permit allowed" or similarly. Fishing there was just ok, managed two rainbows.